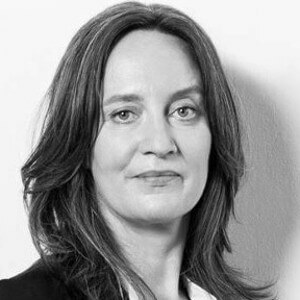 Simone Ashoff studied German studies and has been intensively involved with the internet since 1993. Since 1995, she has been working digitally: She designed the very first websites for VH-1, MTV, BMW, and MINI. As one of the first “New Media Conceptualizers” in Germany, she played a key role in shaping this job profile. After this time, at BBDO InterOne, she developed innovative communication strategies for BMW and MINI: for CRM, for the mobile internet, for digital communication, for internet in cars and for cross-media car advertising. In 2005, Simone Ashoff started as the creative director of Jung von Matt. With JvM / next, the Jung von Matt agency for interactive and innovative communication, she has built the agency’s creative competence in digital media. With digital projects for Sixt, BILD, ProSieben, evian, Mercedes-Benz, Bosch and SPIEGEL Online, the agency achieved first place in the online creative rankings in 2007 and 2008. So far, Simone Ashoff has been awarded over 150 national and international creative prizes. She is a member of the ADC, teaches at various creative companies and does national and international jury work such as in Cannes, at the New York Festivals and at the ADC. Since 1 April 2009, Simone Ashoff is building the Good School.